North Coast Log Cabins was established in 1996 when the Runnalls family diversified from dairy farming. 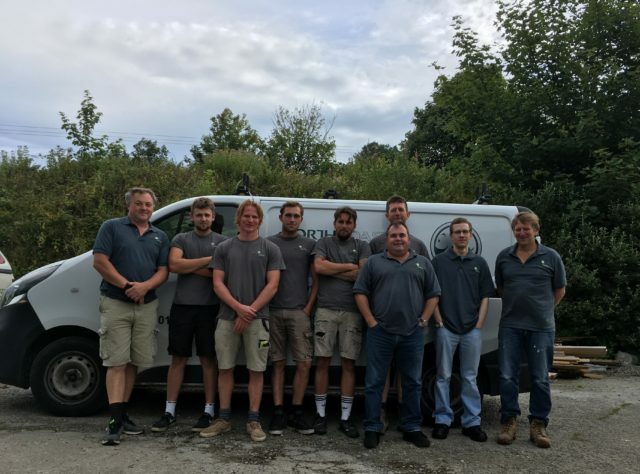 Run from their organic farm on the edge of Bodmin Moor, North Coast Log Cabins is a family owned business with core values of service, integrity and quality. To create the perfect log building to meet your needs North Coast Log Cabins can offer a bespoke design and build service for cabins and wooden structures of any shape or size to suit your needs and the available space. Clients range from private individuals to multi national companies and leading providers of tourist accommodation in the South West. North Coast Log Cabins believes in using only sustainable and ecologically friendly materials to match the quality of their workmanship and as such has imposed a quality and environmental policy as part of their working practices. On these pages you will see examples of numerous buildings, homes, cabins, studios, workshops and summer houses that have been built across Cornwall and Devon. To arrange a showcase of previous projects in your area at a time that is convenient to you please call 01208 850376 – whether you are seeking a spacious four bedroom family home, a relaxing summerhouse or just a humble potting shed we have a solution for you. This website was designed and developed by Darren Lambert, a WordPress specialist based in Brighton.